If you’re applying for college, you’ve probably heard students complain about grants and scholarships – everything from the application process to the stringent requirements. But it's extremely possible to find grants to pay for college. If you explore all of your options and keep track of your results, the process doesn’t have to be painful. We’ve cut down on your research by providing you with resources that will help you find grants right for you. While scholarships are awarded on merit and need, grants are primarily awarded based on need. For most grants, grades are not a determining factor. It’s no wonder that grants are the most sought after form of financial aid – grants are like “free money” that can be used for tuition and other college expenses. Below, we’ll show you where to look for grants and how to apply. Keep reading! Unlike student loans, you don’t have to pay back grants or scholarships. Both scholarships and grants for college are free money options to help you pay for higher education. People often confuse grants and scholarships or use the terms interchangeably because grants and scholarships share many similarities. The biggest difference between college grants and scholarships is that grants for college are typically need-based, while scholarships may be need-based or merit-based. What does merit-based mean? It means the scholarship is awarded based on something you do, such as an ability, hobby or achievement. Like grants, scholarships can also be awarded based on ethnicity, religion, or other background related criteria. Grants are considered free money for college that doesn’t have to be paid back except under these rare circumstances. What is a grant? A federal grant is a form of federal financial assistance where the U.S government redistributes its resources to eligible recipients who demonstrate financial need. Below, we’ve got you covered for Federal grants, State Grants, College Grants, and other grants in special situations. Just follow these steps, and you’ll have a higher chance of uncovering grants that are the perfect fit for you. Both federal and state governments give out college grants. To be eligible, you’ll need to fill out the Free Application for Federal Student Aid (FAFSA). There are so many reasons to fill out a FAFSA, but for the purposes of grants, you have to fill out a FAFSA so that the colleges can figure out the extent of your eligibility for financial aid. You don’t have to stop with grants - family contributions, work-study programs, and scholarships can significantly bring down the cost of tuition. We recommend that you only consider student loans after you explore all of these options, and even then, start conservatively by only taking out federal student loans. 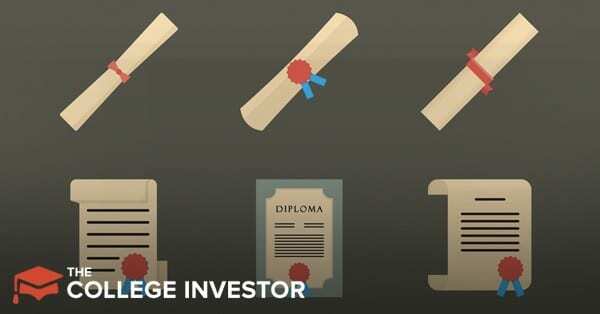 Learn why federal student loans are the best kind of student loan you can take out (if you need to take out a loan at all). Once you fill out your FAFSA, the colleges that grant you admission will send you financial aid award letters that let you know if you are eligible for any college grants. Move quickly on getting those college applications in, because grants are awarded on a first-come, first-serve basis. Fill out that FAFSA as soon as you can! One of the main factors that determine your eligibility for grants is your Expected Family Contribution (EFC), which is calculated through the information you provide on your FAFSA. Your EFC is amount your family is presumed to pay for college based on financial information, despite whether they actually intend to pay that amount. Students with higher EFCs are likely to receive loans rather than grants, but don’t be discouraged. 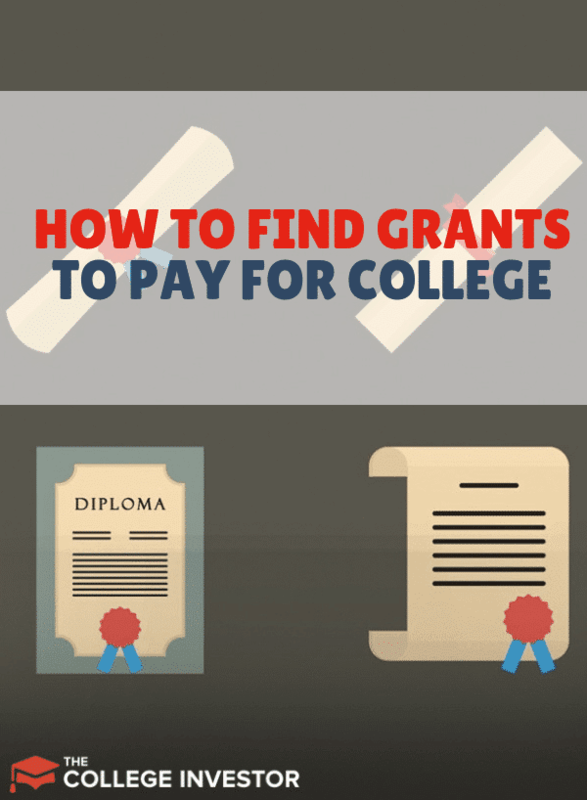 With the variety of grants available for all types of backgrounds, financial need, and ability, here are many types of grants, and if you do your research, you just might find the financial help you need for college. Colleges can choose to disburse grant funds in the form of a single lump sum payment or disbursement (equal installments) by sending federal financial funds to your school and crediting them to your account. Federal Pell Grants: Federal Pell Grants are the largest source and most common source for federal grants, and they are awarded solely on your financial need. Academic Competitiveness Grant: This grant is a combination of a merit and need-based grant for college freshmen and sophomores. Federal Supplemental Education Opportunity Grants (FSEOG): FSEOGs help low-income undergraduate students who need substantial financial aid for college tuition. TEACH Grants Teach grants are a good option for students who agree to teach for four years at an elementary or secondary school that serves low-income families. Iraq and Afghanistan Service Grants: These are available to students whose parent or guardian passed away as a result of military service in Afghanistan or Iraq after September 11, 2001. National Science and Mathematics Access to Retain Talent (SMART) Grant: This grant is available to college juniors and seniors on the basis of need and merit. While the FAFSA is the mainstream gateway to financial aid, it is not your only option. You can also fill out a CSS profile to get access to grants as well scholarships for your college education. Unlike FAFSA, the CSS profile is a slightly more in-depth option that costs $25 for your application and $16 for each school. If there is a school you feel is way out of your league, this may be worth it. After you have gone through all of your federal grant options, consider state grants by contacting one of the state grant agencies provided by the Department of Education. We also have put together this ultimate guide of Financial Aid and Student Loans By State, which includes any grants offered by your state. Just click your state and see what's available. There are many grants dedicated to women, minorities, international students, and grants for disabled students. These are some of the most overlooked grants, so take the time to see if any of these grants apply to you and fill out an application. There are student grants available to international students, although they are typically lower than programs for domestic students. You can research your options here to get started. Women’s grants make it possible for female students of all backgrounds to pursue educational programs and careers that have historically not been available to women. Many organizations have taken steps to support women for equal footing in education, opportunities, and career development. American Association of University Women (AAUW) Career Development Grants: AAUW helps women who already have a bachelor’s degree, but want to advance their careers by continuing their education. Soroptimist Live Your Dream Award: This is a need based grant for women who provide support for their family. The Education Support Award from the Patsy Takemoto Mink Education Foundation: This award helps low-income mothers pursuing a degree or vocational training. The P.E.O. Program for Continuing Education (PCE): PCE assists women who support their families and experienced an interruption in their education. While federal aid is open to all ethnicities, some financial aid is offered specifically for minority applicants. If you qualify as a minority, be sure to apply for grants that take your background into account. Regardless of your ethnic background, fill out a FAFSA and explore all of your options. Ethnic foundations, private corporations and government agencies each issue college grants that should be considered by minority students. Ethnic minority grants help support educational advancement for minorities. There are different grants available based on ethnic background such as Asian Americans, Native Americans and Hispanics. High school students should check with their school counselor and their desired university financial aid office for more information. There are public and private educational grants for disabled students who wish to pursue their college education. Many public and private organizations dedicate grants and scholarships to specific mental or physical disabilities such as cystic fibrosis and blindness. While the United States Department of Education is still the first place you should visit when applying for financial aid, federal, state and private grants should not be dismissed when considering all of your options for financial aid. Take advantage of all grants and scholarships before resorting to loans, otherwise you could end up making these student loan mistakes. If possible, use student loans as a bridge to close the gap between grants, scholarships, and tuition. What is your experience with grants? If you were awarded a grant, was it from any of the sources listed above, or from somewhere else? Tell us your experience with college grants in the comments below. My daughter was under the impression that her father was going to help with college expenses. They filled out her information together and used his tax forms income etc. He has since told her that he is not helping with expenses. She only received an out of state scholarship and nothing else, due to using his information. Is it too late to change the information for this fall on her FAFSFA 2018? I can’t not help either as I only make minimum wage and I’m in debt already. I have great credit, but I have to keep paying down my debt before I can help her. Please help give me any information on this. She is the first to go to a 4 year University. Filling out the FAFSA is only a starting point for financial aid. Did she apply to scholarships? How much does she need? I am currently 17 years old, and I am a junior in High School. I am currently a student at the career center, I am in the DMT (DIversified Medical Technologies) program I and will receive my STNA at the end of this school year. I found out that I am going to have pay for my tuition in whichever college I go to. I applied for FAFSA and I am waiting for a reply. I am confused on what else I need to do to receive grants. I am open to any suggestions! Please help! My father wont help me fill out the FAFSA form and my mother can’t because she is deceased I cant do anything on the FAFSA because it wants one of my parents information. I’ve looked almost everywhere and i cant find a grant or loan that doesn’t require the fafsa form to be filled out. How can I go about getting such things?